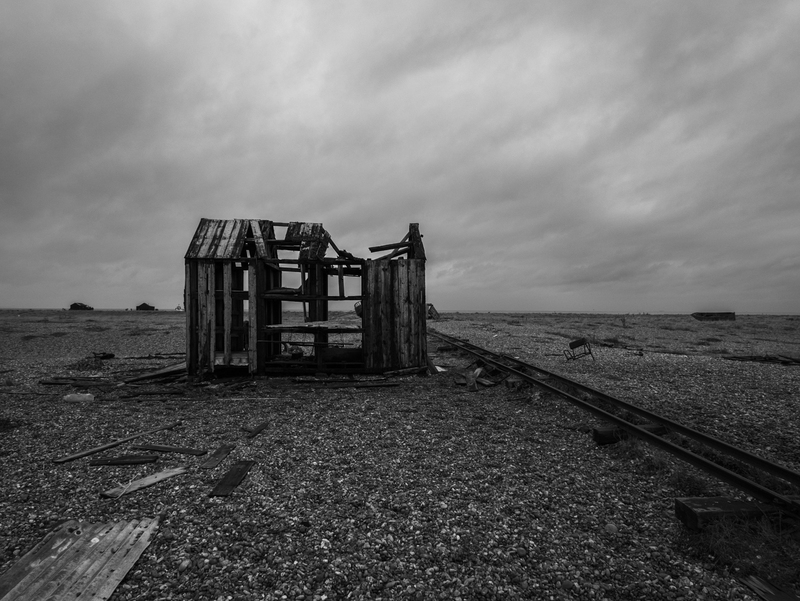 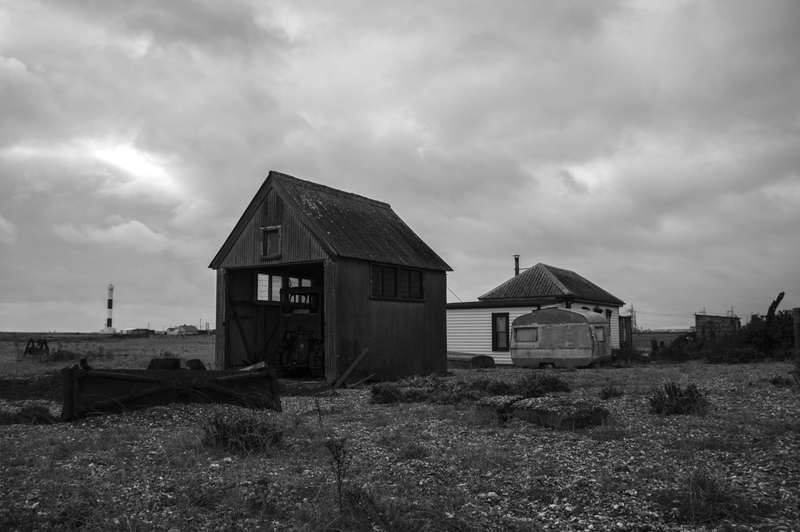 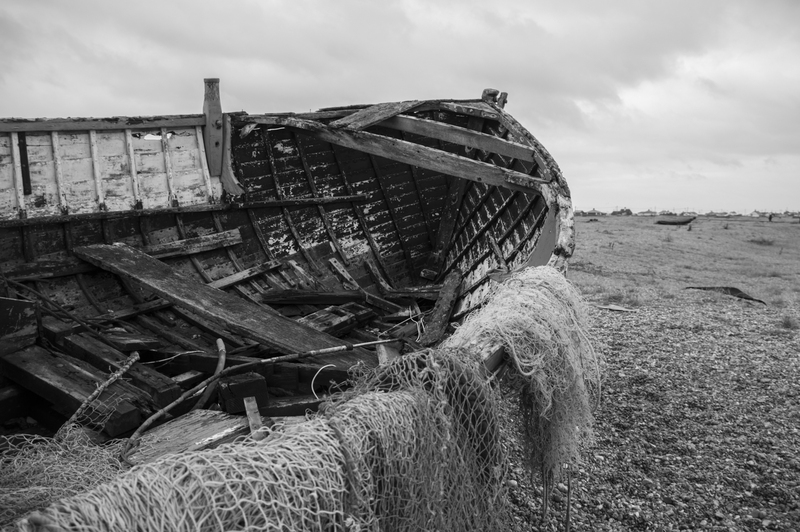 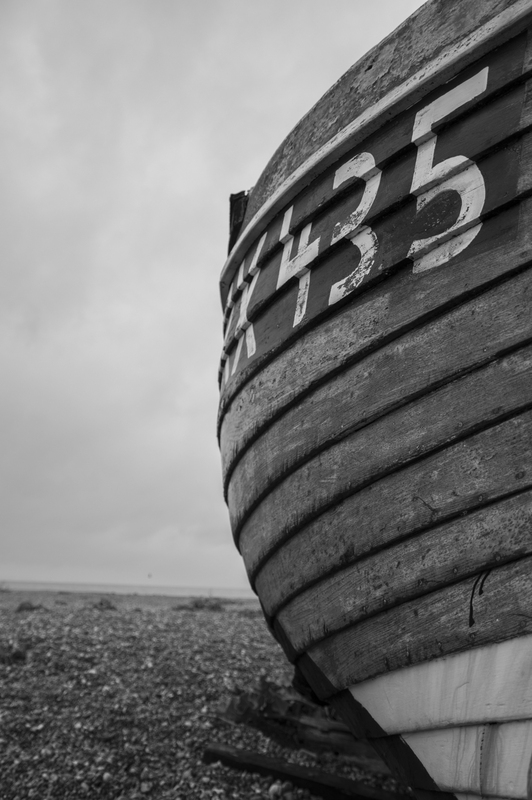 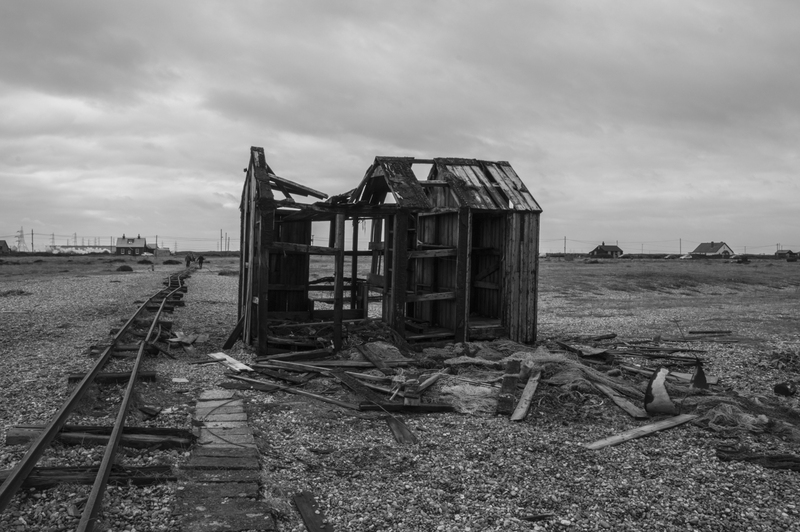 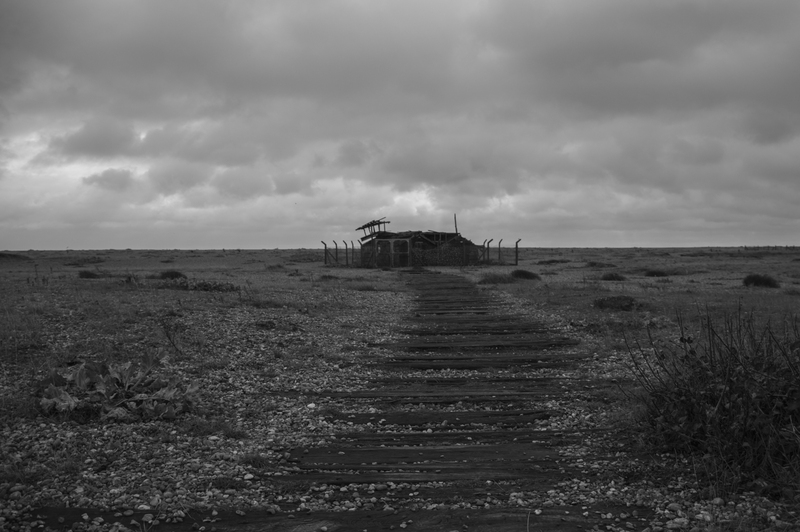 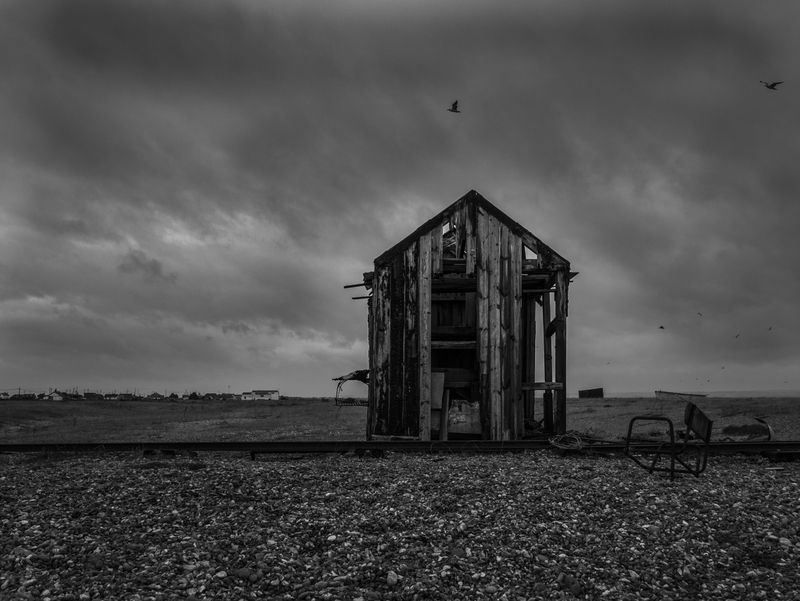 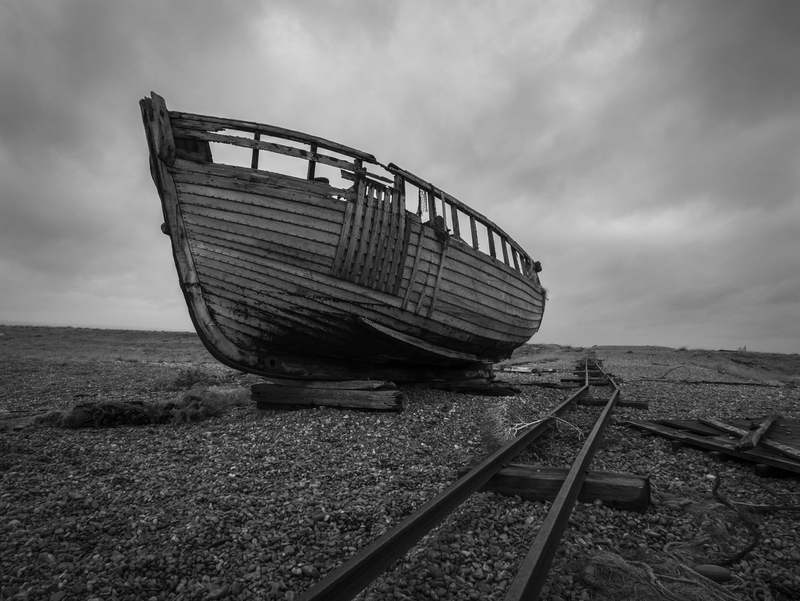 I decided to take a visit to Dungeness to explore the possibilities of using ‘views’ as my final choice for part two. 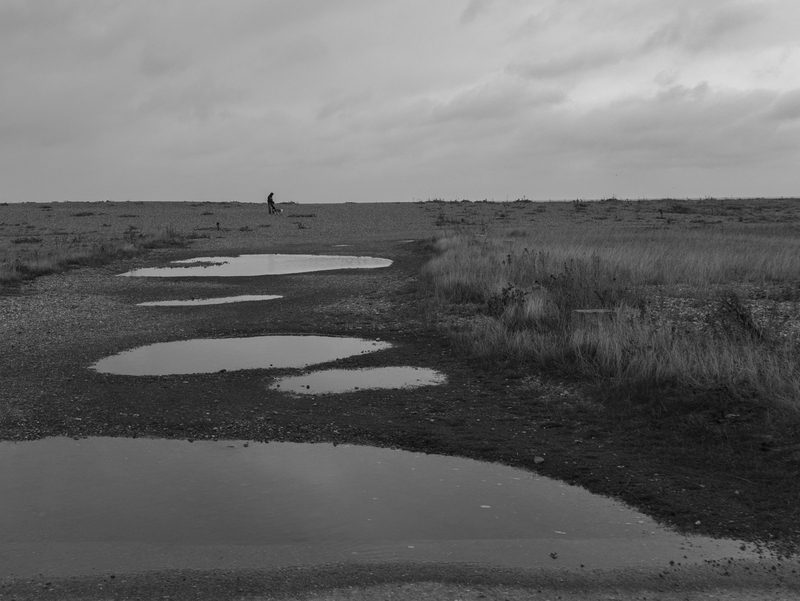 It was only a short visit whilst walking my dogs at the same time but overall I was pleased and I think that if the heavens open on the day that I plan to take my crowd shots I will be returning with my tripod. 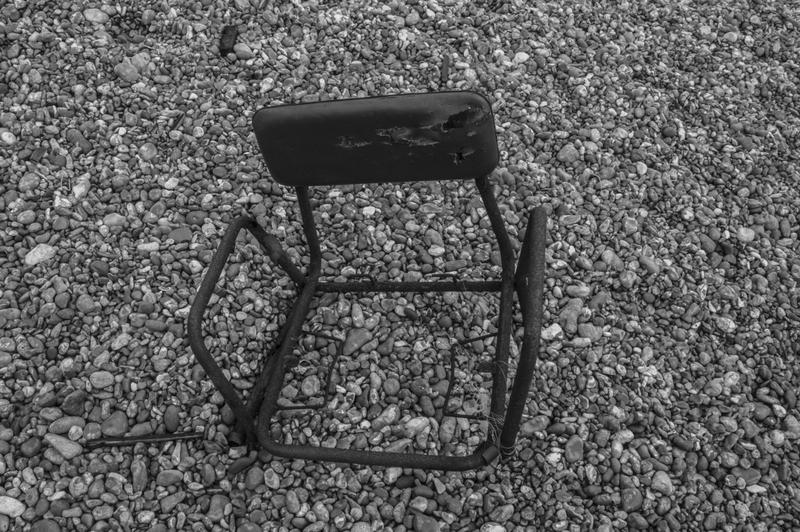 There was one particular building with the railway track beside it and an old broken rusty chair that I really liked, it seems almost sinister. 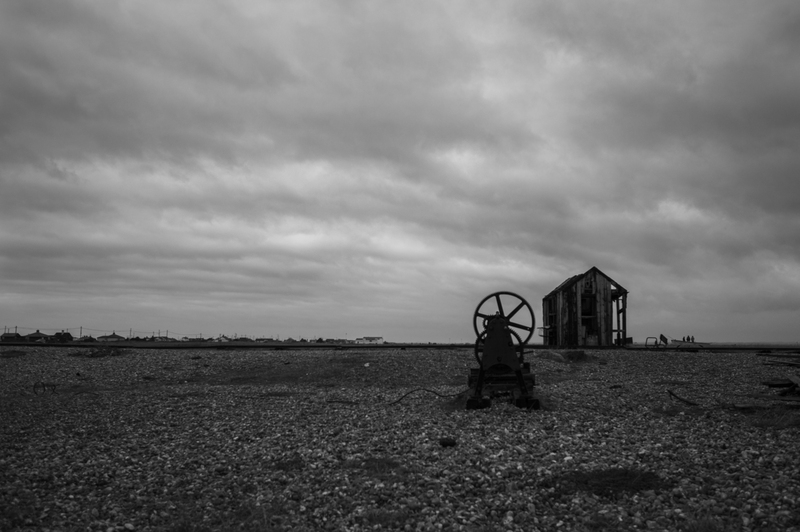 Some of the images I liked in colour but for the majority I had a preference to black and white as it added to the desolate abandoned feel of the images and conveyed how I felt about the area. 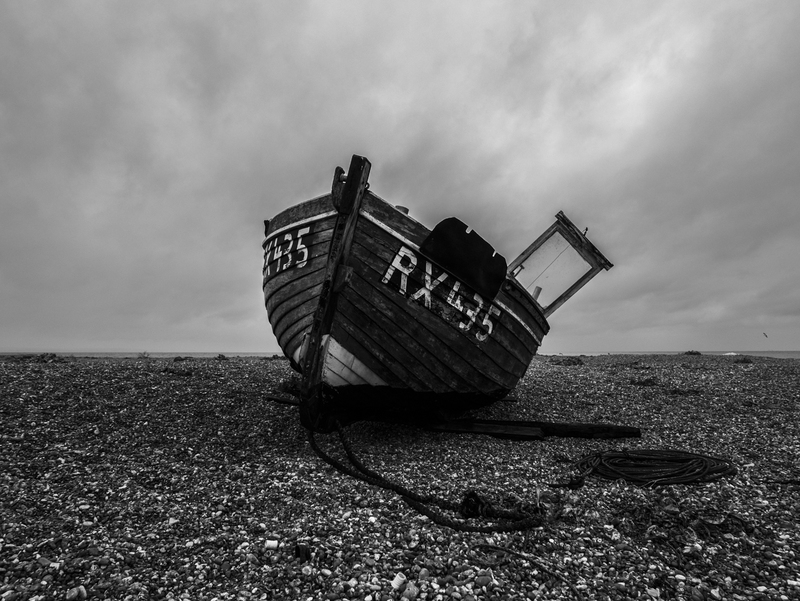 Dungie seems to relish grotty weather and monochrome. 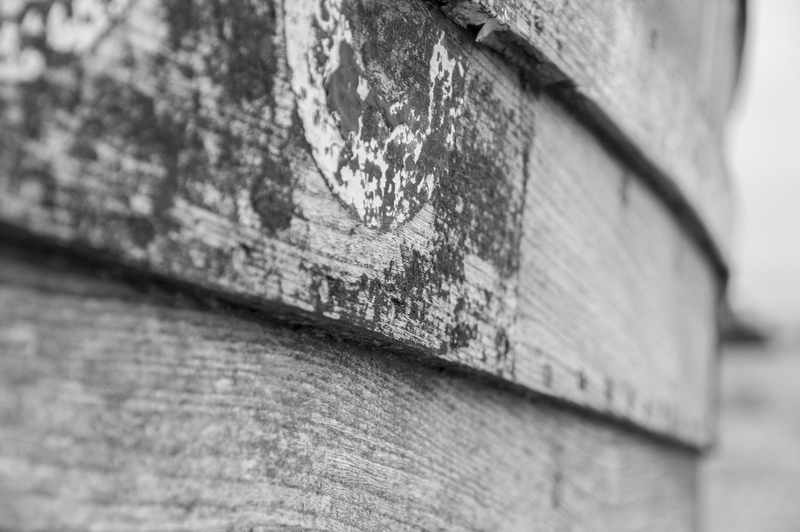 I like the combination of views and details. 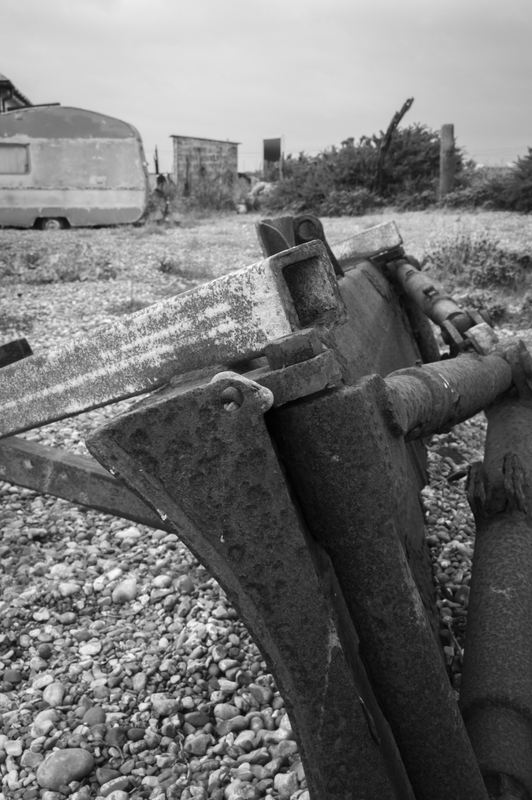 The combination of black and white, with old abandoned ‘stuff,’ works really well. 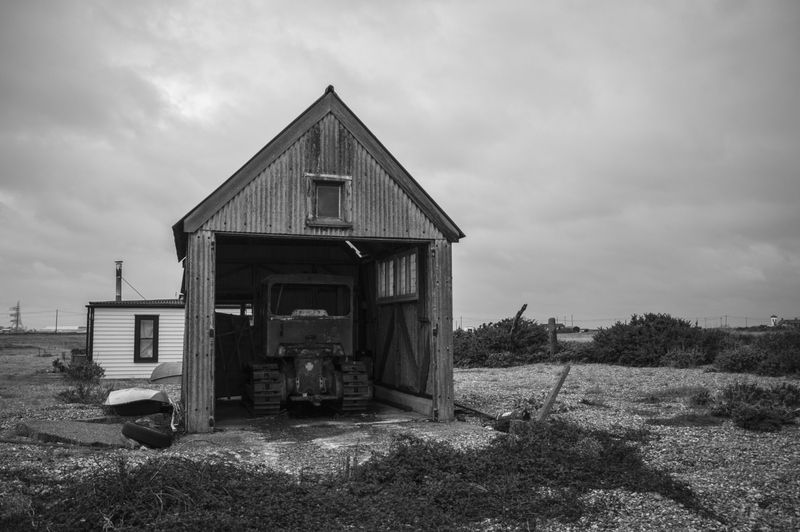 I like these images a lot. 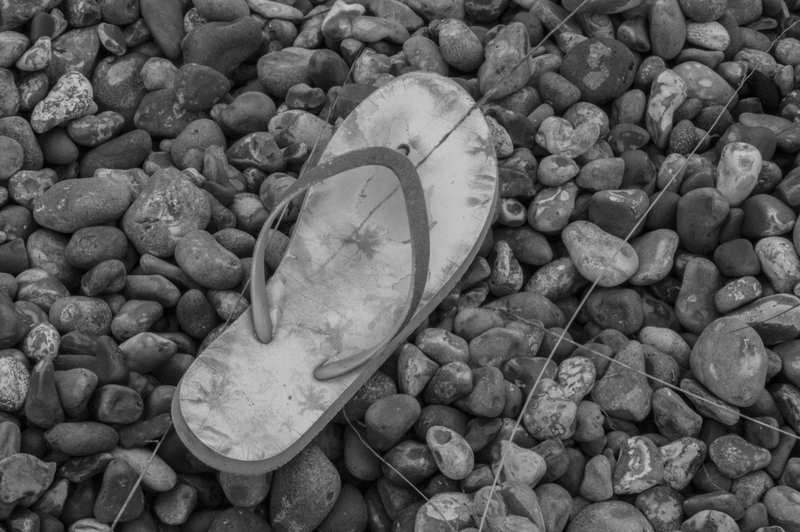 Very much like these in black and white. 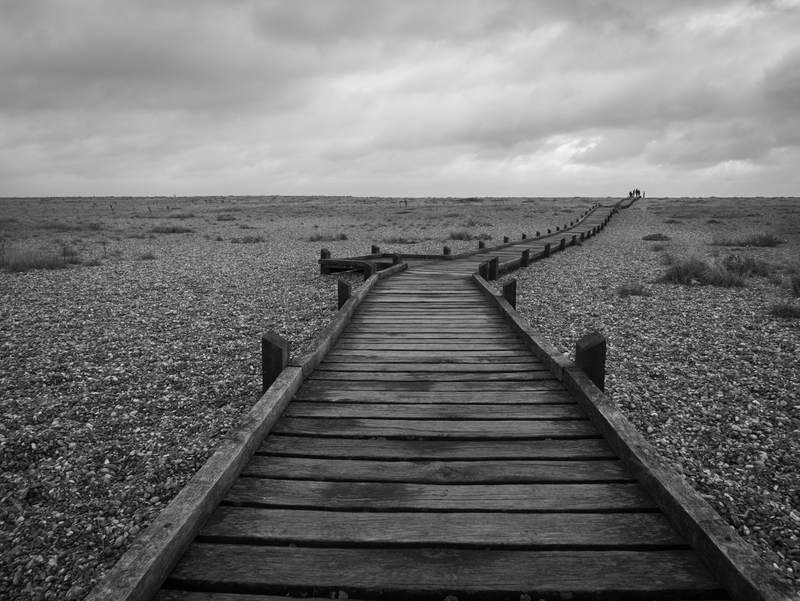 I particularly like the one where the wooden walkway leads off into the distance and the one of the side of the boat with the shallow depth of field.